Back for it's fourth year Kindred Spirits festival will once again be held at Waterloo farm, North Petherwin, Launceston PL15 8LH. Situated in stunning rural Cornwall nestled in the ottery valley the site offers twenty acres of flat pasture, this is the home of Kindred Spirits. 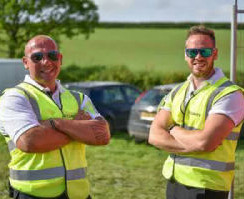 Our gates will be open to the public at 9.00am on Saturday 25th May 2019, after two fun filled days and nights of partying the site closes 6pm Monday 27th May. Kindred Spirits is a family festival with so much to offer, a diverse selection of bands and music to dance to and a host of fantastic DJ's to entertain you. With a great selection of food vendors, shops and stalls to peruse. We will have two well stocked bars and friendly bar staff to serve you. 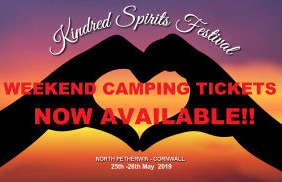 So with two nights camping, three stages and so much fun to be had I look forward to seeing you all there at Kindred Spirits 2019. Do I have to pay extra to bring a campervan or caravan? No, this is included in your weekend camping ticket. A quiet spot for family camping located away from the hustle and bustle. Just a polite notice, late night noise in this area is not acceptable, thanks. No, the main car park is free. Can I leave the site during the day and come back? 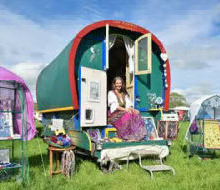 Guests, cars and campervans can come and go throughout the festival. All vehicles within the campervan/live-in vehicle area will have to display a sticker and all occupants must have a valid weekend camping ticket. The main car park is for day ticket holders only and it is not permissible to sleep in that car park. Can I camp for only part of the festival? Sorry – only weekend camping tickets will be available. No fires or BBQs are allowed in the campsite, gas stoves are fine. This is a working farm with the cattle removed 6 weeks prior to the festival so there is no poo for you so we don't want to leave poo too for them! It is also part of our premise license conditions. Portaloos, Disabled Toilets and Water points are freely available on site. 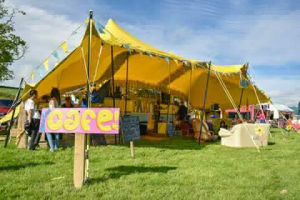 Our friendly bar staff can serve you a wide range of Ales, Cider, Wines and Spirits in the Rainbow Marquee and stage. Catering for all tastes and culinary delights you'll always find something of your choosing. Bringing alcohol into the festival arena is strictly prohibited, however a small amount is allowed within the campsite. Security will confiscate any alcohol that is deemed more than appropriate for personal consumption. Please do not bring any glass onto the site. 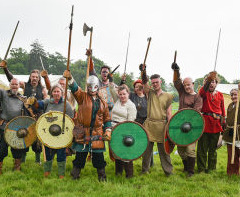 The Warriors of Tintagel are a saxon battle re-enactment group back for their fourth year, with battles and history talks, Have a Go Archery will also be available. Bee Happy Samba will be running workshops for all ages to come and learn some latino samba rthyms. Flotsam the fool will be returning with Circus Workshops for all ages. So whether you want to hone your juggling skills, diablo or perhaps walk a tight rope you'll certainly learn new tricks here. The Healing Area, from yoga to massage, holistic healing and therapy in a great area to relax and enjoy a slower pace to the festival. The Rivermoor Coven, these witches will never cease to bring a smile to your face with their crazy dances and they enjoy audience participation. Their costumes look amazing. Late Night Fire Pit, chill out and play acoustic music, meet new friends. Luak Fire Tribe, after dark entertainment, fire poi lighting up the night's sky. These activities are free for all and great for all to enjoy. Whether its a bouncy castle or bungee trampoline there will be swing boats and a few fairground stalls to keep the little one's amused. 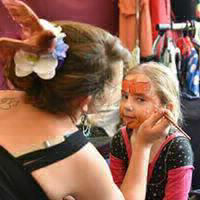 Also other activities like Arts and Crafts workshops, Face Painting, Circus workshops and samba. A selection of sports equipment will be available for free. 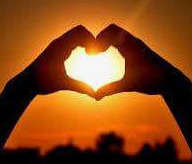 For children ten years and under entry to Kindred Spirits is free, all children under 18 years must be accompanied by an adult parent/guardian. Yes there will be day tickets both days: Entry time from 11am leaving at midnight. Do children go for free? Children 10 and under are free but must be accompanied by a parent or guardian. All under 18’s must be accompanied by a parent or guardian. We do not send out physical tickets. When you buy your ticket online you will be given a receipt number beginning ETS.. Simply print this email and bring it with you, along with some identification. We have a full list of ETS numbers along with the email addresses on the entrance gate. When do I get my wristband? Tickets are exchanged for wristbands at the entrance to the festival. Unfortunately, tickets are non-refundable but may be transferred to a friend with the corresponding ETS number and email address. Sorry No Dogs other than service/guide dogs. With access to twenty acres of flat pasture wheel chair/push chairs should be able to navigate the festival with ease, disabled toilets are available in both camping and festival arena where you will find water points also. Violence, aggression and anti-social behaviour will not be tolerated. We have a zero tolerance policy to drugs and will result in ejection from the site and maybe reported to the police. Please remember Kindred Spirits Festival is a family festival so please act accordingly.